Pros and Cons of an Offshore Asset Protection Trust: Is it the Best? Today many estate planning firms tout the benefits of Offshore Asset Protection Trusts as instant asset protection solution for every individual looking for the end-all, be-all. It feels to them like finding a the last raft on a ship that has a pin-sized hole in it. Their first instinct is to throw out the raft and jump off the boat immediately. Unfortunately, things since 9/11 and the global financial crisis of 2008 have changed in this country. Prior to 9/11 we recommended Offshore trusts for a much larger percentage of clients, but that is no longer the case. The problem is that 99% of the time, jumping off the boat is not the best solution because the nearest land is thousands of miles away and the hole is not that large. What they actually need is for the captain to help them analyze all of their options, the safest and easiest of which is to simply plug the hole. Of course if someone is selling rafts, then it’s even more difficult to expect them to recommend a thoughtful and unbiased solution. And this is the real challenge if you are considering an Offshore Asset Protection Trust. I am a big advocate of the Offshore Asset Protection Trust (just like I am an advocate of rafts) – but in both cases only when they are absolutely necessary and appropriate. In fact, offshore asset protection trusts are only recommended to a very small percentage of clients these days; those with at least $7-10M liquid assets. Because of the new regulations from the Patriot Act and subsequent banking acts, offshore asset protection trusts are very expensive to maintain. Going offshore to establish asset protection trusts means going out-of-pocket for between $5,000 to $10,000 per year in maintenance fees. Because of these expenses, many of these offshore trusts will only last about three to four years for the average individual, particularly if they were created in a rush to thwart a perceived upcoming risk; for this reason, grantors often question whether their hasty decision was indeed the right one at the time. There are quite a few mandatory and compliance forms to file when going offshore. At a minimum, there’s Treasury Department form 90-22.1, Report of Foreign Bank and Financial Accounts to consider. There may also be a requirement to file a Foreign Bank Account Report (FBAR), which falls under the authority of the Financial Crimes Enforcement Network (FinCEN) form 114. Aside from filing TD and FinCEN forms, offshore trust grantors may also have to respond to the Internal Revenue Service (IRS) by filing forms 3250 and 3250A. These forms, which require disclosure of trust assets, are handled by a foreign trustee and a CPA based in the United States. As of December 31st, 2012, the U.S. Foreign Account Tax Compliance Act (FATCA) is creating an additional burden on offshore trust grantors and trustees by requiring financial institutions abroad to report on the financial holdings and income of their clients. With the new filing and compliance requirements also comes uncertainty as to how offshore trusts are managed. It calls for retaining the services of an attorney to work in conjunction with the foreign trustee. If you take into consideration all of the aforementioned factors, it is easy to see the $10,000 annual maintenance cost of an offshore trust. Between $25,000 and $50,000 after five years and five IRS Form 3250 filings. Between $50,000 and $100,000 after 10 years and 10 IRS Form 3250 filings. Between $100,000 and $200,000 after 20 years and 20 IRS Form 3250 filings, assuming no inflation. It’s not just the sizable amount of money required to keep offshore trusts active year after year that prompts most individuals to dissolve them after just three to four years; there’s also the experience and expertise of the firm to think about. Many financial planners rushing their clients through a $10,000 Offshore Trust lack the real-world experience of a firm that actually files and executes documents, disclosures and compliance forms. Prospective grantors looking for asset protection strategies should not throw caution into the wind. If anything, shielding assets in advance of a knowingly potential adverse situation should be approached with circumspection. Offshore trust structures are actually very good for grantors who fund their nest eggs with about $7M to $10M, and they can offer a enormous amount of asset protection if executed correctly; however, some plaintiffs have found cracks in the armor and some judges are beginning to formulate a dim view of these instruments. A much more optimal alternative to offshore asset protection is the Ultra Trustâ„¢. It is designed to last 21 years beyond the death of the youngest heir and is easy and inexpensive to maintain. This domestic trust is supported by a firm that has 30 years of experience and a spotless record of asset protection in civil cases. A properly drafted, implemented, and funded domestic irrevocable trust has 150 years of success including challenges from the IRS and other sophisticated creditors. Click here for laws and actual cases. First year: $14,500 set up cost. After 5 years, the grantor has only paid $14,500 and avoided the IRS Form 3520 filings. After 10 years, the grantor has only paid $14,500 and avoided the IRS Form 3520 filings. After 20 years, the grantor has only paid $14,500 and avoided the IRS Form 3520 filings. Ultra Trust® clients can reach the firm by telephone and in person without having to worry about billing hours. All client services are included in the setup cost. The Ultra Trustâ„¢ is supported by one of the top 3 experienced and respected asset protection firms in North America that takes pride in shielding the holdings of clients; this is the most important factor for prospective clients to consider since there they do not have to worry about what may happen to their assets in an offshore jurisdiction they are not familiar with. The Ultra Trust® asset protection plan is perpetually effective and does not need to be created in a rush. As a matter of fact, the best time to create this domestic trust is when things are tranquil and before problems arise. With the Ultra Trustâ„¢, clients can rest easy in knowing that their assets enjoy true legal protection all the time. It is your money. Spend it wisely. U.S. v. Rogan, 2012 WL 1107836 (N.D.Ill., Slip Copy, March 29, 2012). 410 Montgomery, LLC; Jerry Whitlow, individually and as registered agent of 410 Montgomery, LLC; McCorkle Pedigo & Johnson, LLP; and Darby Bank, Garnishees. JOHN W. DARRAH, District Judge. *1 Before the Court is Kelley Drye & Warren LLP’s (“KDW”) Claim and Request for Payment from Escrowed Funds of 410 Montgomery, LLC. On September 29, 2006, the Court entered judgment against Peter Rogan in favor of the United States in the amount of approximately $64.2 million. The judgment was the result of a massive healthcare fraud scheme orchestrated and run by Rogan.FN1 See United States v. Rogan, 459 F.Supp.2d 692 (N.D.Ill.2006); United States v. Rogan, 517 F.3d 449 (7th Cir.2008); see also United States v. Rogan, et. al., 639 F.3d 1106 (7th Cir.2011) ( Rogan ). Rogan has fled the country. To collect the judgment, the United States traced Rogan’s assets and discovered that he invested in 410 Montgomery, LLC (“410 Montgomery”), a firm that built housing in Georgia. Rogan, 639 F.3d at 1106. FN1. Rogan went through elaborate extremes to conceal his ownership of entities that received the proceeds from his activities. Rogan’s fraud scheme was perpetrated through Edgewater Medical Center (“Edgewater”). In 1989, an entity that Rogan formed and controlled, Edgewater Operating Company (“EOC”), purchased Edgewater. In 1992, Rogan and his wife, Judith, had set up three trusts in Florida for the benefit of their children (the “Domestic Trusts”). In 1994, EOC was sold to Northside Operating Company (“Northside”), which was created by its parent company, a California-based company called Permian, for the exclusive purpose of purchasing EOC. Rogan and other shareholders of EOC received $31.1 million from the sale of Edgewater. Rogan received approximately $17.4 million, and the remaining shareholders were the Domestic Trusts, which received approximately $4.1 million. Although Rogan had sold Edgewater to Northside, Rogan retained control of the hospital after the sale through a series of transactions, and he then caused Edgewater to enter into management contracts with two entities that he also controlled, Braddock Management, L.P. (“Braddock”) and Bainbridge Management, Inc. (“Bainbridge”). Rogan’s ownership interest was concealed through an elaborate scheme of inter-locking financial entities owned by Rogan, Rogan’s children, and other entities owned by Rogan. When Rogan operated Edgewater through these entities, the Domestic Trusts received millions of dollars in distributions from the entities. The United States obtained a writ of garnishment against Rogan’s membership interests in 410 Montgomery. The company sold its holdings, paid its secured creditors, liquidated, and placed the money in escrow. After this Court approved distributions for closing costs, the remaining funds came to about $4 million, which is now being held in court-ordered escrow by the Darby Bank (the “Darby Escrow”). The instant dispute arises out of litigation relating to this writ of garnishment. As will be further discussed below, on July 15, 2010, the Court entered an Agreed Final Disposition Order, ordering the $4 million in the Darby Escrow, with the exception of $173,289.71, to be turned over to the receiver appointed by Judge Kennelly in Dexia Credit Local v. Rogan, et al., No. 02 C 8288 (N.D.Ill.) ( Dexia ). The remaining $173,289.71 was withheld pending adjudication of claims by Diane Whitlow and the Estate of Jerry Whitlow (“the Whitlows”). The Whitlows claimed that they owned a one-third interest in Taylor Row, LLC (“Taylor Row”) and that 410 Montgomery owes Taylor Row $475,000. Accordingly, the Whitlows argued they were entitled to a total of $173,289.71 from 410 Montgomery and that this amount should be paid to them from the Darby Escrow. On September 21, 2010, the United States opposed the Whitlows’ claim, arguing that the United States had priority over the Whitlows’ claims. This Court entered an order holding that because the United States was a judgment creditor and the Whitlows were unsecured creditors, the United States was entitled to the disputed amount. First, the writ [of garnishment] covers the property ‘in which the debtor has a substantial nonexempt interest’ which is to say, Rogan’s membership units in 410 Montgomery LLC, not the real estate that 410 Montgomery developed. Investors in corporations and LLCs own tradable shares or units; they do not own the company’s assets. The separation of investment interests from operating assets is a fundamental premise of business law. Equity investors are residual claimants; they get only what is left after debts have been paid. Second, if we were nonetheless to treat 410 Montgomery’s assets as property that Rogan ‘co-owned’ with other investors (including the banks and Taylor Row), then the law of the state in which the property is located determines how far the writ of garnishment reaches. That’s Georgia law-and the parties agree that a writ under Georgia law would not vault equity investor Rogan (and hence would not promote the United States) over creditors’ interests. [T]he Whitlows are not claiming any of Rogan’s assets. As we have emphasized, what Rogan owned was a membership interest in 410 Montgomery LLC. The Whitlows don’t want any part of that equity interest; their claim is against the LLC’s own assets, in which creditors have entitlements senior to those of equity investors. Rogan, 639 F.3d at 1107â€“1108. Did 410 Montgomery LLC owe a debt to Taylor Row LLC? If so, how much? If it owed money to Taylor Row LLC, why are the Whitlows the right parties to receive that money? Georgia does not appear to permit a suit of this nature; direct actions are proper only with respect to an investor’s own rights against the LLC or its other members. Southwest Health & Wellness, L.L.C. v. Work, 282 Ga.App. 619, 639 S.E.2d 570 (2006); see also Uniform Limited Liability Company Act sec. 901. Does some other provision of Georgia law permit the sort of direct claim that the Whitlows have presented? Has the United States forfeited any objection to the direct nature of this claim? These and any other material issues are open on remand. FN2. Dexia issued letters of credit securing some $56 million in bond obligations of Edgewater in May 1998. See Dexia Credit Local v. Rogan, 231 F.R.D. 268, 270 (N.D.Ill.2004). Dexia brought suit in November 2004, alleging that Rogan, Braddock, and Bainbridge engaged in a wide-ranging scheme to defraud Edgewater and that these defendants concealed this fraud from Dexia in order to induce Dexia to issue the letters of credit. Id. Dexia ultimately obtained a $124 million judgment against Rogan and, after instituting supplemental proceedings to locate Rogan’s assets, succeeded in obtaining a final judgment ordering the turnover to Dexia of nearly all the assets of the Domestic Trusts and terminating the Rogan children’s interests in those trusts. Dexia Credit Local v. Rogan, 629 F.3d 612, 616 (7th Cir.2010). The Court of Appeals in Rogan determined the United States is a creditor of Rogan’s and therefore claims a garnishment interest in his ownership of membership units in 410 Montgomery. As to the assets of the LLC, the United States is a residual claimant of 410 Montgomery and will only collect on its judgment after 410 Montgomery’s debts have been paid. By contrast, the Whitlows are creditors of 410 Montgomery’s assets and have priority of their claim senior to the United States. Accordingly, the issue presently before the Court is whether KDW has a claim against Rogan or 410 Montgomery. If the former, KDW is similarly situated as the United States; if the latter, KDW is in the same position of the Whitlows. However, it is not necessary to resolve this issue FN3â€”KDW has waived its right to assert a claim for attorneys’ fees against 410 Montgomery. KDW has failed to assert a claim for attorneys’ fees prior to this Court’s ruling that was the subject of the Whitlows’ appeal to the Seventh Circuit and that court’s ruling and remand. Moreover, KDW was not a party to that appeal, which held in favor of the Whitlows. FN3. It appears that KDW is not similarly situated to the Whitlows. KDW has made no showing that it was representing 410 Montgomery other than as a creditor of the equity interest holders in defending this garnishment action. Actually, Rogan effectively owned all the interest in 410 Montgomery, as more fully set out in this Court’s February 5, 2010 Order, (Dkt. No. 468 at 2 (holding that the ownership of 410 Montgomery rested with three trusts that Rogan set up in Belize in 1994 in the name of his three children; however, his children had no knowledge of the existence of these trusts).) There is nothing to suggest that KDW is claiming payment for legal services performed in representing 410 Montgomery as an entity in the ordinary course of 410 Montgomery’s business regarding third parties. There is no claim by KDW that demonstrates that it is acting other than to protect the interests of the equity owners of 410 Montgomery, which have been determined to be effectively that of Rogan. And, KDW has not shown why its claim for fees in representing a garnishee in a collection action should be superior to those of a judgment creditor garnishor, such as the United States. Although a number of parties made claims, KDW failed to make a claim for attorneys’ fees. At the next status hearing on May 21, 2009, 410 Montgomery withdrew its motion for release of funds from escrow without prejudice to re-file. A schedule for briefing on the United States’ motion for summary judgment on its garnishment petition was set. On June 22, 2009, the United States filed its motion for summary judgment. (Dkt. No. 429.) The Whitlows opposed the motion for summary judgment. KDW, however, opposed summary judgment only in its capacity as attorneys for 410 Montgomery. FN4. On July 21, 2009, in Dexia v. Rogan, No. 02 C 8288, Judge Kennelly entered a order removing Cuppy and appointing Eugene Crane as Trustee of Rogan’s children’s domestic and Belizean trusts. On January 22, 2009, Judge Kennelly entered an order granting full control and title of the assets of the Rogan children’s domestic and Belizean trusts to the Trustee. Therefore, as a trust-owned entity, 410 Montgomery was under the control of the Trustee. Because the Trustee did not authorize KDW to file the motion, the motion was stricken. Accordingly, to the extent KDW seeks attorneys’ fees from the funds that were subject to the First Turnover Order, it has waived its request for the following reasons: (1) KDW failed to make a claim in response to the required date set by the Court; (2) KDW did not contest the United States’ motion for summary judgment on its garnishment action against 410 Montgomery; (3) KDW failed to contest the First Turnover Order, which directed almost all of the Darby Escrow to the United States pursuant to Rule 54(b); and (4) KDW failed to appeal this First Turnover Order. The finality of the Court’s Rule 54(b) Order would be undermined by allowing KDW to pursue its claim. Furthermore, that 410 Montgomery briefly mentioned legal fees it owed to KDW, as discussed above, does not support KDW’s claim: these references do not constitute a claim or petition for attorney’s fees by KDW. Moreover, the nature of the legal services which are the basis of KDW’s legal fees mentioned in 410 Montgomery’s Renewed Motion to Release Funds from Escrow are evidence that KDW represented the equity interest holders in 410 Montgomery in defending against the garnishment action by the United States rather than any third-party creditor of the LLC, as mentioned above. KDW, as a non-appealing party, cannot benefit from the Whitlows’ successful appeal. Therefore, to the extent KDW seeks attorneys’ fees from the remaining fundsâ€”the funds at issue in the Second Turnover Orderâ€”it failed to appeal the Second Turnover Order and has thereby waived any claim to attorneys’ fees from these funds. Here, KDW’s claim is expressly based on the Seventh Circuit’s decision regarding only the competing interests in the funds between the Whitlows and the United States of the Second Turnover Order and in the amount of $173,289.71. Even if KDW were a party in this case, it cannot claim rights based on the holding in the Whitlows’ successful appeal.FN5 Cf. Federated Dep’t Stores, Inc. v. Moitie, 452 U.S. 394, 400, 101 S.Ct. 2424, 69 L.Ed.2d 103 (1981) (observing the “generally accepted rule in civil cases that where less than all of the several co-parties appeal from an adverse judgment, a reversal as to the parties appealing does not necessitate or justify a reversal as to the parties not appealing.”) (citation and internal quotation marks omitted); Marin Piazza v. Aponte Rogue, 909 F.2d 35, 39 (1st Cir.1990) (holding that non-appealing plaintiffs could not benefit from reversal of judgment against the plaintiffs who did appeal, even though error had been found in judgments against all parties); see also 20 Moore’s Fed. Practice sec. 304.11[c] (“A distinct issue arises with respect to separate appeals where parties are aligned in interest, and one party appeals but the other does not. Can the non-appealing party benefit from the result on appeal? The Supreme Court has answered this question in the negative.”). *5 For the reasons set forth above, KDW’s Claim and Request for Payment from Escrowed Funds of 410 Montgomery  is denied. Pros and cons to offshore bank accounts. Higher interest rates could be found with offshore banks but they are not tax-free and privacy privileges are non-existent since September 11th, 2001. Opening an offshore bank account is a matter which should be discussed in detail with a financial advisor such as Estate Street Partners and possibly a lawyer, depending on your individual circumstances and reasons for wanting the account. There has been negative press involving owners of offshore accounts who abuse the bank services to launder money or commit other forms of fraud (tax evasion, hiding money for divorce purposes, etc). Offshore banks also require large sums of money as deposit, and there can be substantial annual membership and maintenance fees if you don’t understand all the terms of the agreement. A knowledgeable advisor will help minimize your risk by informing you of any changes to domestic and foreign banking laws. When choosing an offshore bank you have a number of banks to choose from, although the most common and sought after accounts are in Switzerland and the Cayman Islands due to their size and reputation. What services does this bank offer? Are there fees associated with withdrawing money from the account? How easy is it to transfer funds, and is your money secure if the bank goes under? Many offshore banks offer personal services similar to those offered by domestic banks. In addition to a regular savings account, you may have the option of a debit or credit card from which to withdraw funds. Some countries will also sell you a mortgage and offer loans from your offshore account. Since offshore banks are not regulated in the same manner as domestic banks, the interest rate on your loan will be at a much more competitive rate than here in the United States. The offshore banks are competing for business which will hopefully bring revenue to their country, and with lower overhead costs than domestic banks they are able to offer higher interest rates on deposits. Large US-based companies are also taking advantage of the benefits associated with offshore bank loans. Companies will be afforded the same rights of privacy as an individual account holder, and they will be allowed to finance their operations at a much more reasonable rate than if they kept strictly domestic accounts. Since offshore banks are not government regulated to the same extent as domestic banks, they can offer a wider variety of investment options to companies and individuals looking for a higher rate of return than what is typically offered with US Mutual Funds. One of the advantages of having an offshore bank account used to be the anonymity that was guaranteed with it. Unfortunately, following the terror attacks of 9/11 many offshore banks are volunteering any information requested by domestic governments if they suspect criminal activity. The Patriot Act allows authorities to actually seize bank accounts and assets reportedly belonging to criminals. The Internal Revenue Service (IRS) has also initiated the Qualifying Intermediary Requirements which gives the government access to the names of all individuals receiving US-funded investment income. Offshore banks are working closer to authorities to adhere with stricter money laundering legislation, and these banks will often volunteer information to police if there is questionable activity in your account. 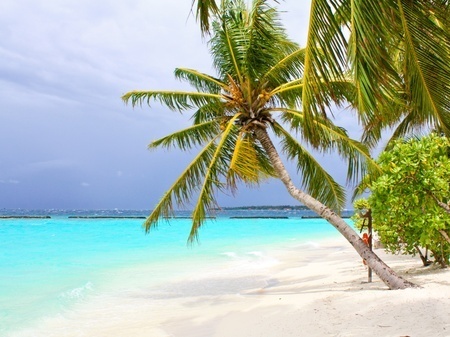 You should be aware that offshore bank accounts are not tax-free. While you may choose to withhold information from the IRS in an attempt to escape paying taxes, you are under legal obligation to report all income earned from foreign accounts with the exception of an annuity. You may not be forced to pay taxes to the offshore bank for interest earned on your deposit, and they may choose not to disclose financial information to the US government. However, if it is discovered you committed perjury on your taxes the consequences will far outweigh the immediate benefits of evading taxes. With stricter laws being enforced due to threats of terrorist attacks, and the rise in money laundering for drug rings, it will become increasingly more difficult to hide funds in offshore accounts. Consulting with a financial advisor may help you avoid legal problems associated with a poorly planned offshore bank account. Ideally, your account should offer competitive rates of return for your investments, competitive interest rates on loans, security, and confidentiality. Offshore Annuity-What is it? What are the benefits and advantages of an Offshore Annuity? Compare Offshore Annuity vs. Deferred Variable Annuity. Discuss asset protection and tax advantages of an Offshore Annuity. An Offshore Annuity works very similar to a deferred variable annuity. The owner pays into the annuity during the accumulation phase using either a lump sum or paying scheduled amounts over a period of time. The money in the annuity will gain interest at a rate determined by the investment portfolios in which it was placed, and either the owner or annuitant will be taxed once the withdrawal period begins. You should remember that the owner and annuitant do not need to be the same, and for an Offshore Annuity the owner is usually an offshore trust. If the two annuities are so similar, then what is the benefit of having an Offshore Annuity versus a U.S-based deferred variable annuity? When you choose to purchase a deferred variable annuity you are usually opting to place your money into mutual funds, equity funds, bond funds, etc. The investment portfolio chosen for your money is done by the insurance company you purchase the annuity from, and is limited to venders they have contracts with. An Offshore Annuity offers more investment options since the overseas advisor can choose to place the money in any of the previously mentioned portfolios, or, for example, they can invest your money in gold. The overseas advisor is not limited by contracts and can invest your money into a number of diversified accounts. Your rate of return is not guaranteed, and is determined by the success of your advisor’s chosen investments. Offshore Annuities offer much more than just increased investment options; they offer a secure way to hide your existing assets from the U.S Government. This feature of an Offshore Annuity is also known as Wealth Preservation. If the offshore issuer of your annuity has no U.S-based affiliations, U.S Courts have no jurisdiction over them or your annuity. This means that anyone wishing to effect a garnishment of your assets must receive permission from the host country where your Offshore Annuity originates. If you are both the owner and annuitant, you may be ordered by a U.S. Court to use your annuity to pay a creditor. There are only a few states which exclude annuities from creditors, but you will be subject to fraudulent transfer laws if you obtained the annuity for the sole purpose of hindering or delaying a creditor’s claim. Having an offshore trust take ownership of your annuity avoids this situation altogether, although it is important to investigate the fraudulent transfer laws of the offshore trust and choose only those which appear investor friendly. Having an offshore trust for your annuity offers you, as trustee, the option of withholding direct annuity payments to a beneficiary. If the beneficiary is affected by a drug or alcohol addiction, or is battling legal issues, you may choose to allocate annuity payments indirectly for their benefit. This is very different from a deferred variable annuity which only offers a direct payment to the annuitant or beneficiary in the form of lump sum or scheduled payments. Your Offshore Annuity will grow tax-deferred until you begin withdrawing money, and the U.S Government only requires a one percent excise tax on the premium you paid to implement your Offshore Annuity. Another difference between a deferred variable annuity and an Offshore Annuity owned by a trust, is your beneficiaries do not need to receive payments immediately following your death. Therefore they can delay paying taxes on your annuity until the trust begins distribution of the annuity. How to Purchase an Offshore Annuity? Who is it for? An Offshore Annuity is not for everyone. Most issuers require more than one million dollars to implement your annuity. As previously mentioned, it is wise to have an offshore trust own your annuity. In this case, the offshore trust completes the annuity application and sends it to the issuer. Upon approval you will wire funds to the bank account of your trust, who will then wire the premium to the issuer to complete the transaction. If you have $1million and you have a sphere of influence of $100 million or more, a foreign licensed private bank is practically a license to have your own printing press. A foreign private bank, is nothing more than a corporation, licensed to do banking. Class “A” private banks are similar to Bank of America, City Bank, Fleet, BankBoston, etc. Class “A” foreign banks are allowed to take deposits from the public, at large, similar to any large bank. Class “B” are licensed to do banking within their industries, i.e. GE Capital. They Cannot do business with the public, at large. Class “C” banks are name-plate banks doing business as individuals for their own personal accounts. When properly capitalized, approved, and implemented, a foreign bank has no accountability as to the types of financial transactions it may enter forWhen properly capitalized and professionally managed the bank has NO limits to it’s profitability profit. A foreign class “A” bank, when properly capitalized and professionally managed has no limits to it’s profitability. Please read our disclosure/disclaimer, it’s there for your protection. The litigation explosion are forcing professionals and small business owners to focus on ways/strategies to protect their savings, investments and other accumulated assets that may become attractive to potential contingent fee trial lawyers. Presently, well over half the world’s wealth moves around internationally, taking advantage of business opportunities. National political boundaries, from a financial point of view, are becoming virtually transparent. Many Americans have come to the realization that the only way for them to protect their assets is to hold international assets. This offshore asset protection strategy has nothing to do with tax evasion and everything to do with the creation and protection of wealth. In the United States, the legal system is often stacked in favor of the plaintiff and against the defendant. The corporate veil is routinely ignored. This encourages the filing of spurious lawsuits. For a mere filing fee, a contingent fee lawyer and his client risk very little to see how things turn out. The possibility of being on the receiving end of a ruinous judgment can instantly result in the loss of a lifetime’s accumulation of hard work. Lawyers for plaintiffs only prosecute cases they believe will pay off. The largest growing business in America is contingent fee lawyers, just look in the yellow pages of your phone book. The Internet has facilitated an exponential rate of detailed information about your personal and/or your business accounts, property ownership, investment holdings, income, savings, and many other facts about you, your business, your associates, your buying/spending habits, and so forth. Most trial lawyers will tell you, that forming U.S. based corporations for asset/wealth protection is not worth the certificate it’s written on. Judges will inform you that if any asset is within their jurisdiction anywhere in the U.S. they have the power to redistribute your wealth. SO WHY USE OFFSHORE ASSET PROTECTION? Many international jurisdictions impose less governmental regulatory restrictions and reporting, less taxes on their assets and income, greater flexibility and disclosure requirements. Individuals, professionals, entrepreneurs, and their companies adopt an aggressive policy to safeguard and preserve their wealth/assets from predators and their very clever lawyers, while significantly reducing their costs of doing business. An offshore asset protection Corporation or other offshore Foreign Limited Liability Company (FLLC’s), or International Business Company (IBC’s) or other legal entities can conduct any type of business in the United States. You sacrifice nothing by having a corporate veil with real teeth. An International Business Company (IBC) is an offshore corporate legal entity that does not have to comply with a U.S. based judgment. The need for international diversification arises because of perceived shortcomings in the U.S. judicial, legislative, and political processes. Once the plaintiff see the uphill battle involved, plus the enormous costs out of his/her own pocket, he/she may either re-evaluate the merits of filing a lawsuit or settle for a fraction of the settlement he/she may have received in a U.S. Court. This fact alone can become your catalyst for good financial offshore asset protection planning and save thousands off your liability insurance premiums. Foreign asset protection is the Rolls Royce of asset protection planning. For most Americans it would be overkill. For an asset protection fortress within the United States, the Cadillac of asset protection is the Irrevocable Trust combined with a Limited Liability Company.